POUR YOUR KID A BOWL OF CEREAL AND THEYLL BE FED; TEACH YOU - ProudMummy.com the Web's Community for Mums. 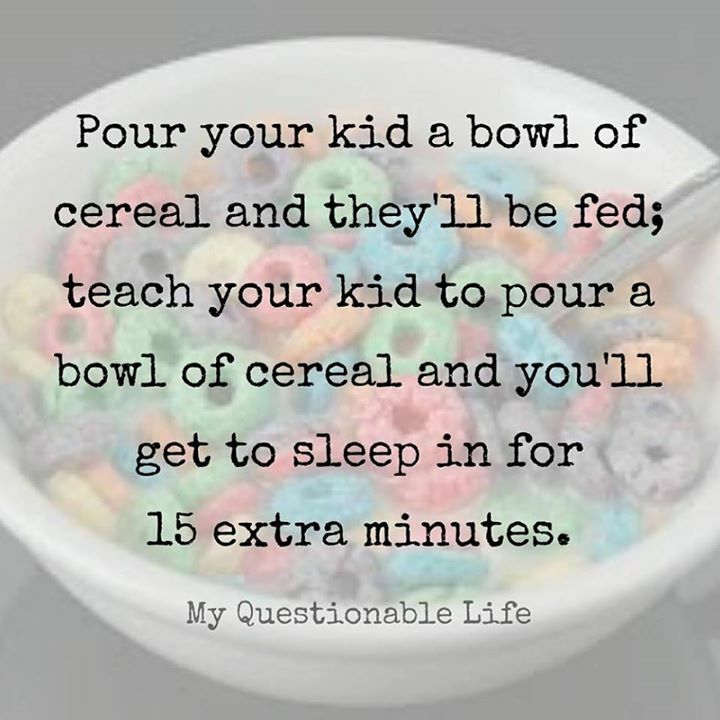 POUR YOUR KID A BOWL OF CEREAL AND THEY'LL BE FED; TEACH YOUR KID TO POUR A BOWL OF CEREAL AND YOU'LL GET TO SLEEP IN FOR 15 EXTRA MINUTES. Susan Ireland.....made me think of you! As long as you can cope with the aftermath!